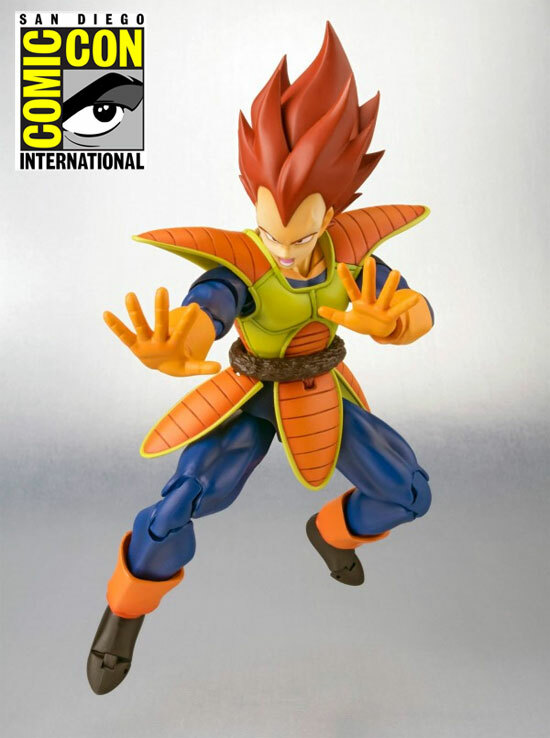 Here is another SDCC 2014 exclusive on Japanese side of thing. 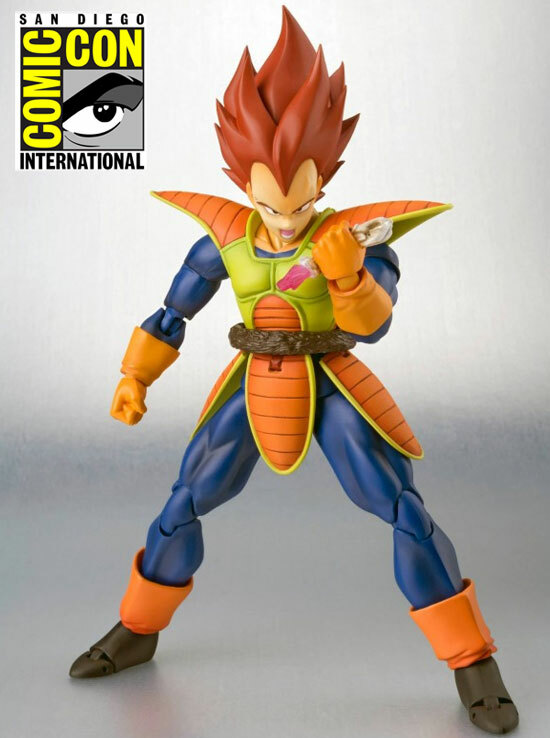 Tamashii Nations for the S.H.Figuarts series will be releasing the original Animation color Vegeta... Some call this repaint which you are not wrong to say that. However before we jump into any conclusion we should think why is there such repaint? 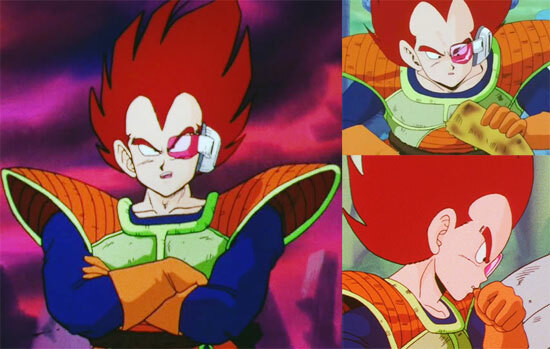 Apparently in the early animation, Vegeta was indeed given such colors in the animation during some flash back storyline.. So there you have it. A refreshing repaint for a historic mistake in some ways..
Vegeta will always be Vegeta because of his attitude toward things in life. 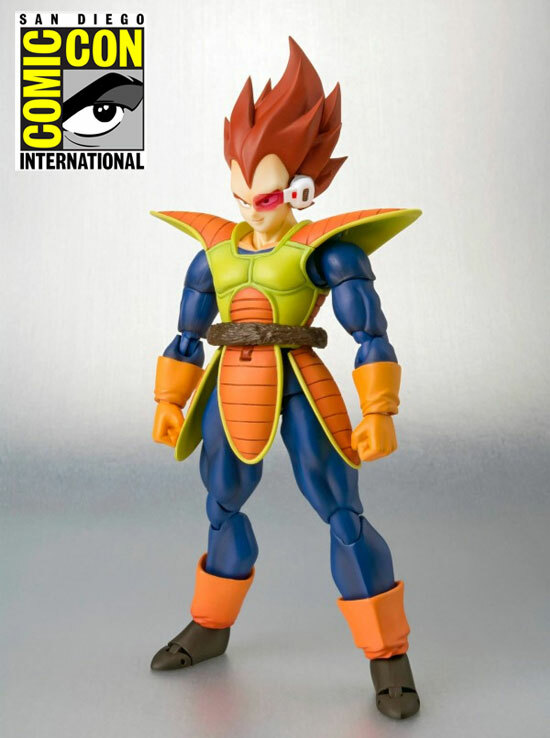 So far there is no mention of the price but he will be included with folded arms, four interchangeable hand sets, including a scouter crushing hand part, three face expression and a head part with attachable scouter, tail and some special effect parts and support stand. I won't mind getting this if the price is right but from where I am residing, this figure would be far from me. 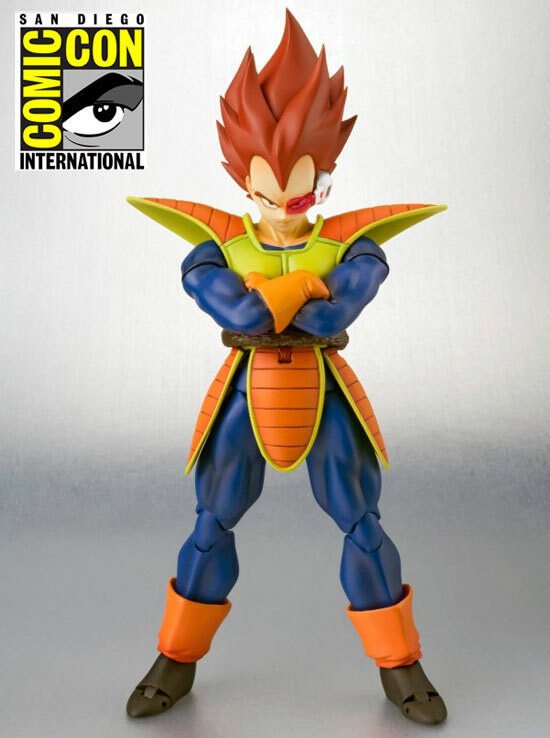 If you are in the event, you may consider getting this limited edition Vegeta. Do you like this color theme? I believed its a historical mistake.. Lol.. But a beautiful one!